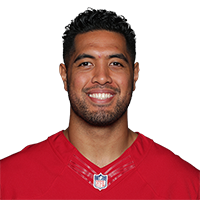 Toilolo has a massive frame. Good leaping ability, very difficult to defend in the end zone. Excels in the intermediate and deep game. Extends to catch the football. Has good acceleration. Coordinated enough to line up in the slot or outside in order to take advantage of mismatches. Comes off the line with little wasted motion. Good hip flexibility, and nimble feet. Extremely inconsistent. Will not always fully extend to make the catch. Slow with his hands as a blocker, and plays too high. Defenders can get into his chest and move him backwards. Routes can be a bit leggy, struggles in the short passing game. Can be effected by jams at the line.